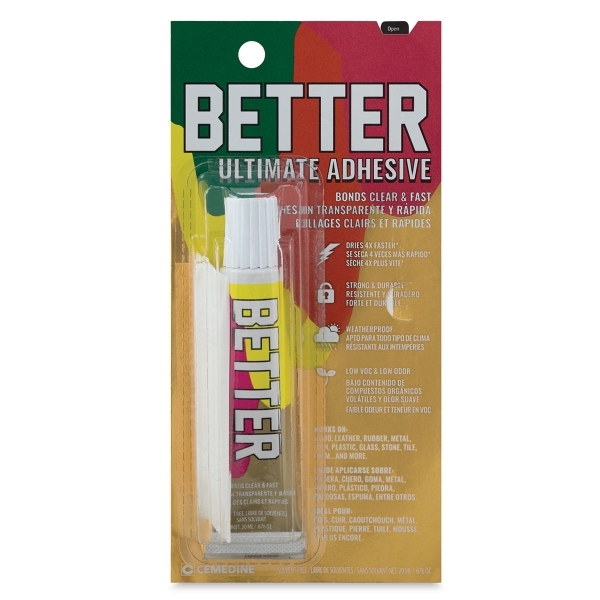 The ultimate super glue for home improvement and craft projects, Better Ultimate Adhesive is strong and versatile — it works great with wood, stone, glass, Styrofoam, paper, and more. 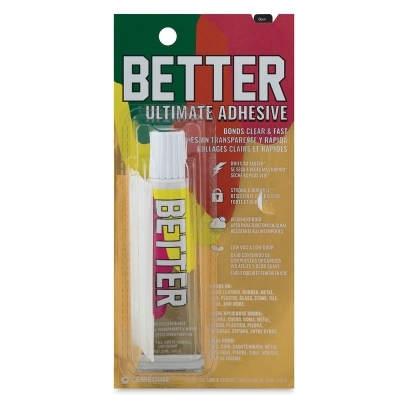 Ultimate Adhesive is shock-resistant and weatherproof, so it keeps sticking whether indoor or outdoor. 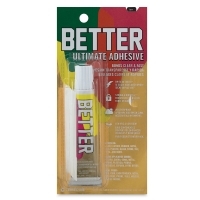 The multi-purpose glue is durable, yet flexible. Plus, it's non-toxic, low VOC, and low odor. It has a two-year shelf life and a clog-resistant cap. Dries clear. 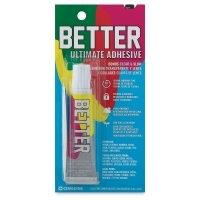 Ultimate Adhesive Slow Dry bonds fully in 10 minutes.